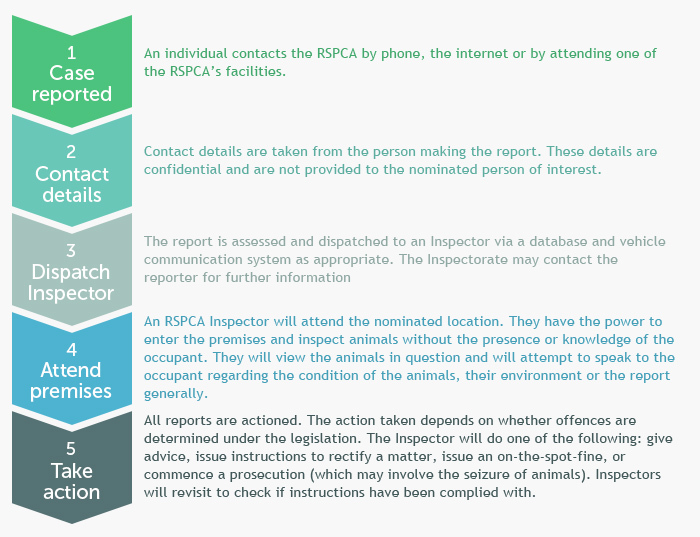 If you have witnessed animal cruelty, including neglect or abandonment, you should report it via phone or online form to the RSPCA Inspectorate team in the state or territory it took place. Northern Territory reports should be made through the NT Government. "I enjoy volunteering and the dogs love my company."